USG LEVELROCK offers a superior quality and variety of products in the field of floor underlayments. One of USG's core compentencies is the amount of time and resources they dedicate to research and development. USG LEVELROCK products can help obtain LEED credits MR 4.1, 4.2, 5.1, 5.2; EQ 3.1, 3.2, 4.1, 4.2, 4.3, 4.4; and IEQ credit 9: Enhanced Acoustical Performance. Click here to read more about how Permafloors can obtain LEED credits for your project. LEVELROCK retains heat for a longer period of time. LEVELROCK gives building users the safety of a fire resistant floor assembly that Warmboard can not. LEVELROCK can be installed at a much quicker rate (15,000 sq ft per day at 1.5") speeding up the construction schedule. LEVELROCK has more flexibility for thickness of installation (.5"-3") in custom homes. By using LEVELROCK airborne sound transmission is addressed by creating a solid barrier. Sound attenuation mat that addresses mechanical sound (footfall, laundry machine, moving chairs) is only approved to be used with LEVELROCK and similar products. LEVELROCK is expansive by nature and lightweight concrete shrinks. LEVELROCK does not crack as much as concrete. LEVELROCK cures at a much quicker rate. The application process of LEVELROCK is much faster. Other trades can return to work on LEVELROCK 24 hours after it is poured, allowing the project to be completed quicker. thermal mass of Levelrock slab provides more even spread of heat. The team at Permafloors is dedicated to exceeding our customer expectations. We strive to build long-lasting relationships and make your projects run smoother by offering fair prices that contribute to your success of being within budget constraints and finishing on-time. Our managment team is pro-active with scheduling by sustaining communication with our customers to make sure we are all prepared on the day that we arrive on the jobsite. More than 20 years of experience installing poured floors in the Northwest! We cover a large territory including Montana, parts of Idaho, Wyoming, Washington, and North Dakota. Our large territory has allowed us to build relationships with a network of suppliers to ensure that projects will be completed quickly. Due to the nature of our product and output abilities we are able to be in and out of a home in 1-2 days. Due to the rapid set time of LEVELROCK, other subs are able to return to work the next day the floors are installed. Our equipment allows us to maximize the output of our product per hour. Our management team maintains communication to schedule at the best time for the success of the project.  Permafloors has a flexible schedule due to the quick installation of our products.